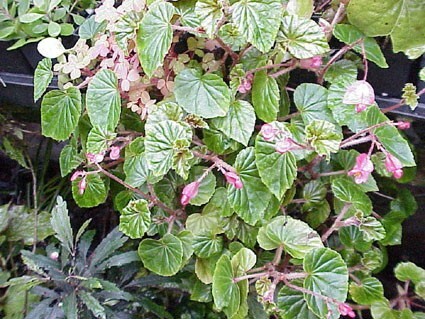 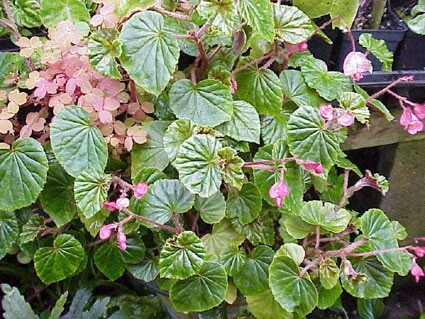 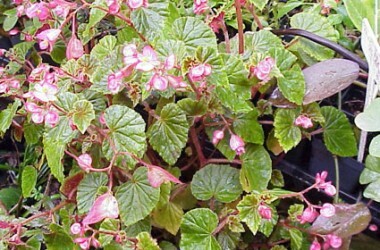 (sempervirens) Very charming self branching mini-semp habit forming a thick mound of small crinkly leaves with deep veins and glossy surfaces perfect with the clusters of rose blushed blossoms, suggesting its "Wax Begonia" cousins. 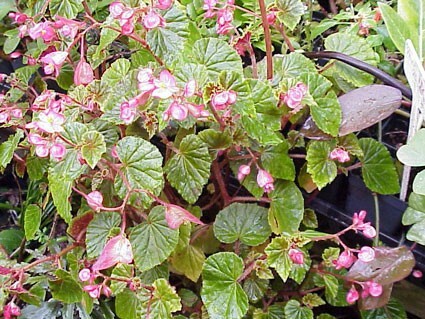 Wonderful windowsill "Busy Lizzy" type for those after the retro look. 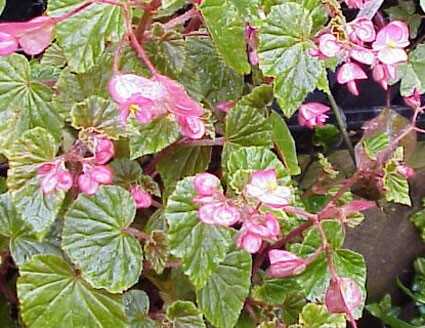 Easy to grow if given good light saturation.